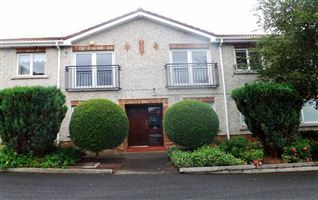 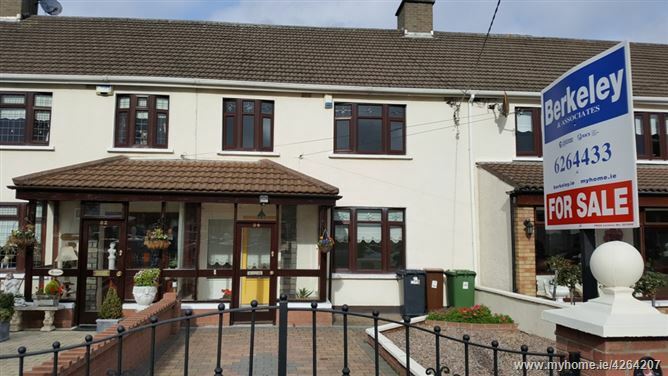 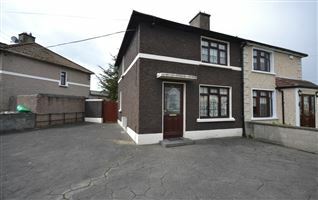 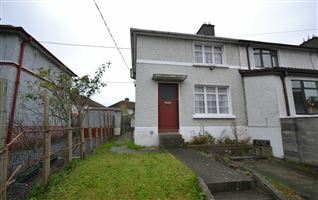 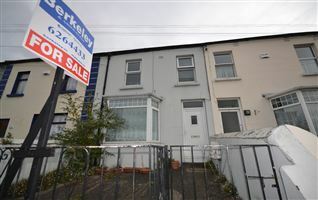 Berkeley & Associates is delighted to offer this very well located 3 bedroom family home situated along one of the most popular and sought after quiet, mature and settled residential roads within old Palmerstown. 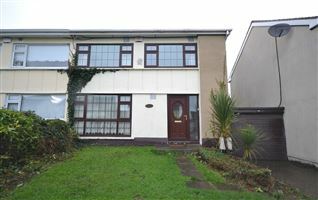 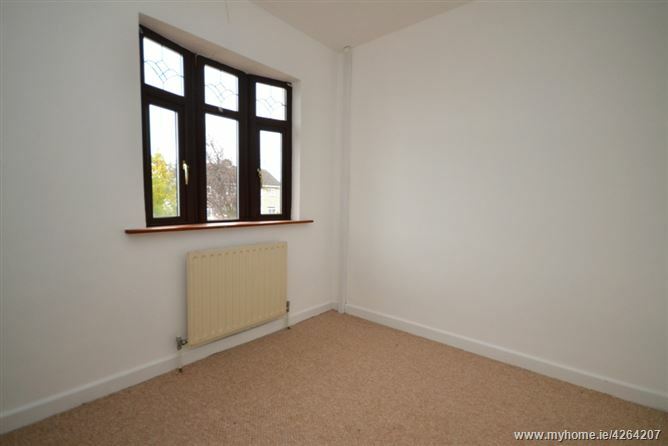 This bright and airy home has been recently re-carpeted and re-painted and can be moved into immediately. 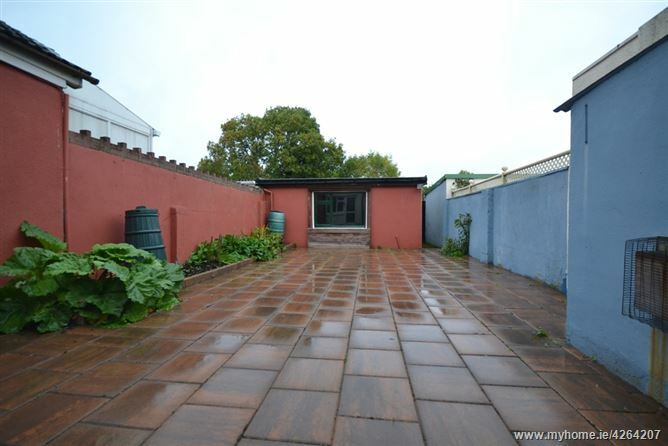 EXTENDED PORCH ENTRANCE	2.85x1.12m	Tiled floor. 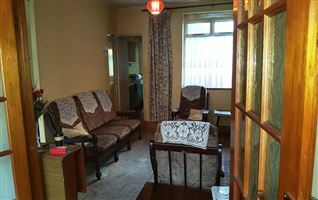 HALL	3.38x2.00m	Sunken spotlighting, modern fuse box, radiator. 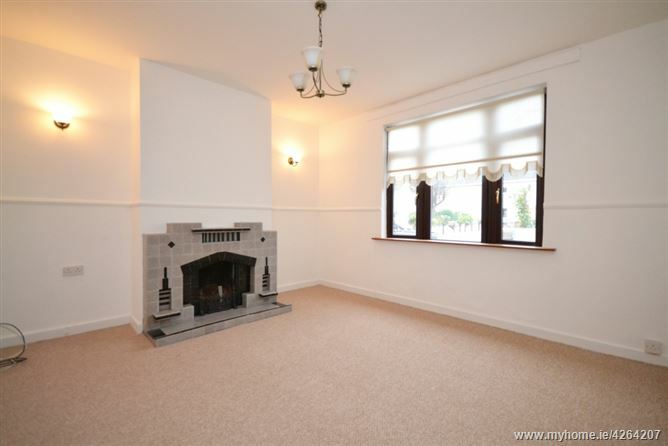 FRONT RECEPTION	3.94x3.63m	Tiled fireplace, radiator, dado rail, wall light points into alcoves. 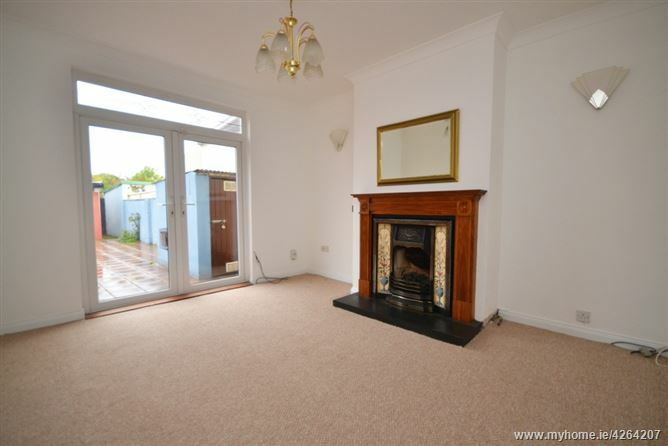 REAR RECEPTION	3.96x3.58m	Ornate timber fireplace with floral tiled inset incorporating gas fire, double glazed uPVC French doors to garden, wall light points to alcove, coving to ceiling. 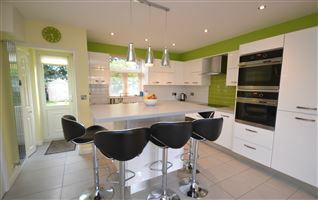 KITCHEN/BREAKFAST ROOM	4.09x2.37m	Fitted oak wall and floor units, work surfaces incorporating fitted four ringed gas hob, single drainer stainless steel sink unit, breakfast bar, door to garden, tiled walls. 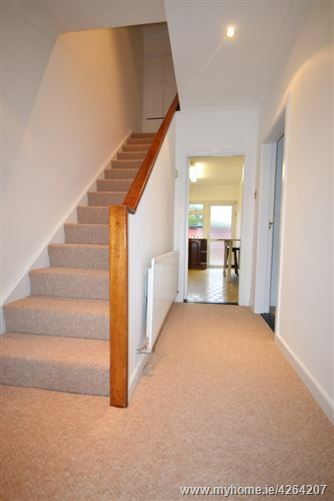 LANDING	Hot press, access to attic. 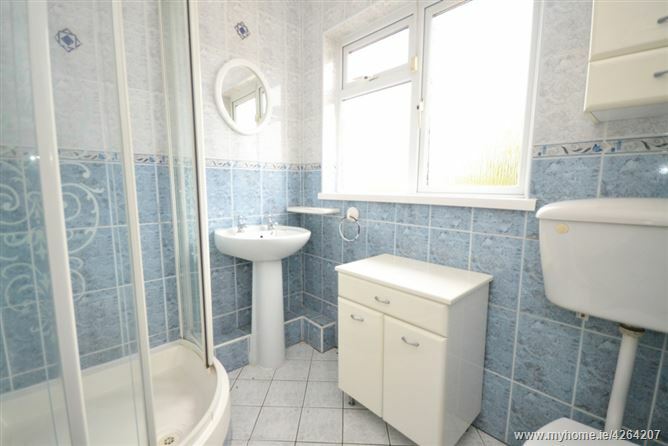 BATHROOM	2.10x1.67m	Shower, pedestal, wash hand basin, wc, fully tiled walls with dual tone finish, tiled floor, radiator. 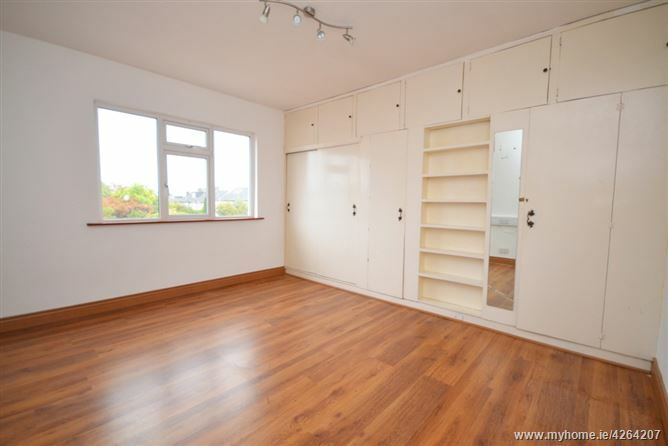 BEDROOM 1	3.96x3.89m	Rear aspect, laminate flooring, radiator, floor to ceiling wall to wall fitted wardrobes incorporating shelving. 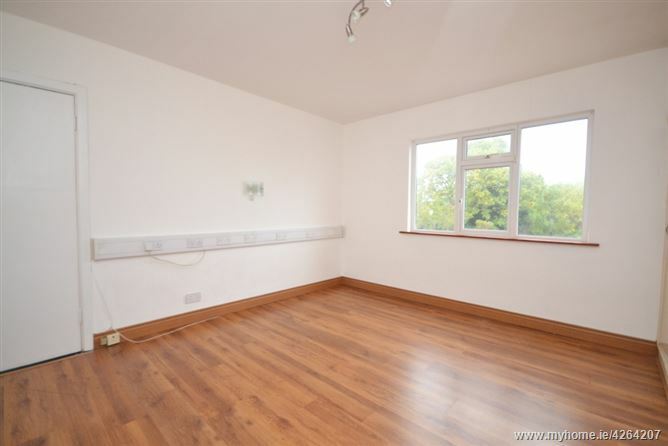 There is an abundance of power sockets which makes this room an ideal work from home office. 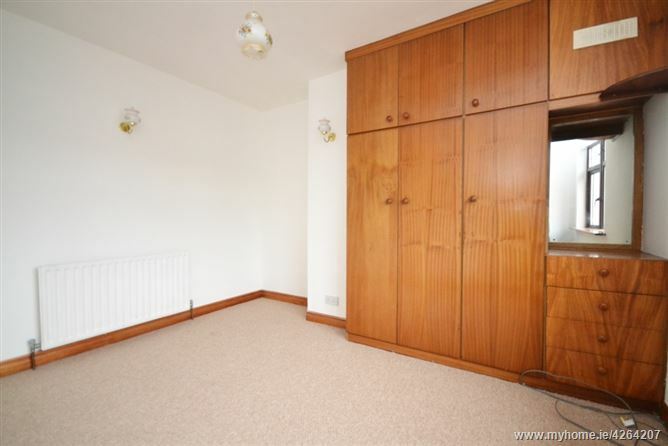 BEDROOM 2	3.61x3.25m	Front aspect, floor to ceiling fitted wardrobes incorporating drawers, three wall light points. 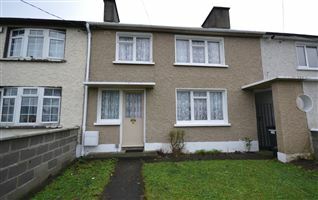 BEDROOM 3	2.75x2.32m	Front aspect. 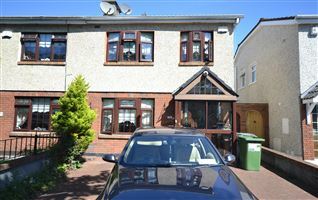 OUTSIDE: To the front there is a cleanly maintained cobble lock driveway providing off-street car parking through wrought iron gates and gravelled walled garden. 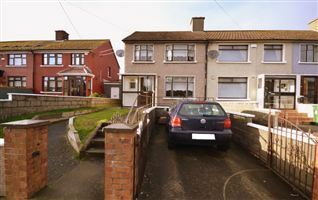 To the rear, there is a large paved rear garden measuring 16.93x6.1m with coal shed housing gas central heating boiler leading to large garage 5.18x4.77m with power and rear access in addition to separate pedestrian rear access.